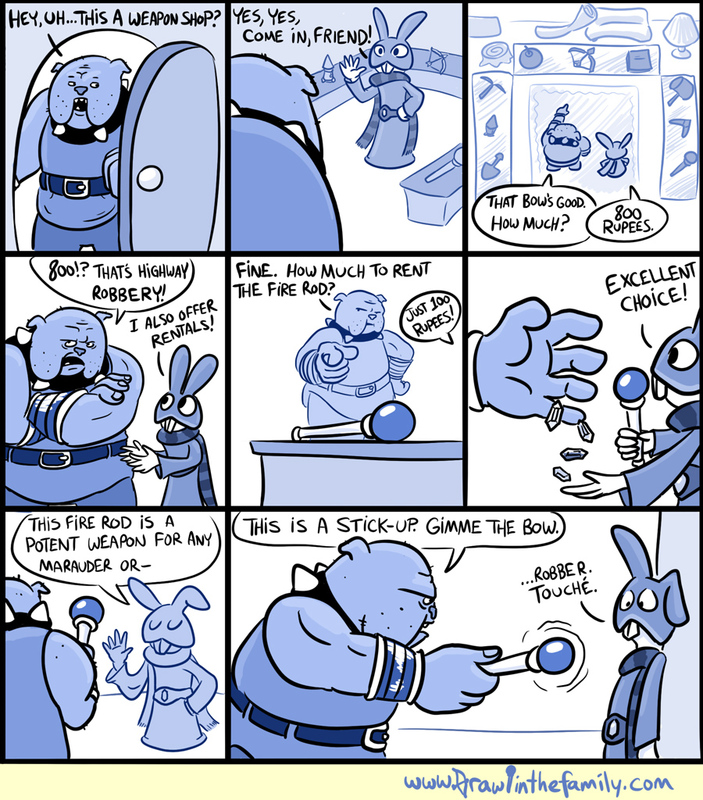 With A Link Between Worlds still buzzing in everyone’s minds, this week’s comic comes from Brawl in the Family and features Ravio’s Shop! In the game we only see Link buying or renting items from Ravio, but who’s to say that other creatures don’t also use Ravio’s service? 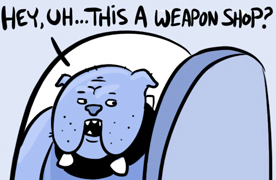 This time a moblin plays the role of the customer, and you might be able to guess how he reacts to the steep prices. Hit the jump to read the comic! Nice little twist at the end. But really, shouldn’t Ravio have seen that coming, or at least taken some precautions before letting dangerous folk into his shop. Perhaps he needs to learn something from the shopkeeper in Link’s Awakening. Of course, to see more Brawl in the Family comics for various Zelda and Nintendo related humor, check out their website over here. What did you think? How do you like Ravio’s Shop in A Link Between Worlds? Tell us in the comments!